For the month of September graduate students of Memorial University’s Folklore Department have been learning about and researching historic and contemporary Georgestown. They will share their discoveries of the neighborhood in a public walking tour on Saturday, September 29th at 1pm. Tour begins at the Lantern, 35 Barnes Road. In case of rain, students will present their findings indoors. Tea, coffee, and conversation at the Lantern following the tour. 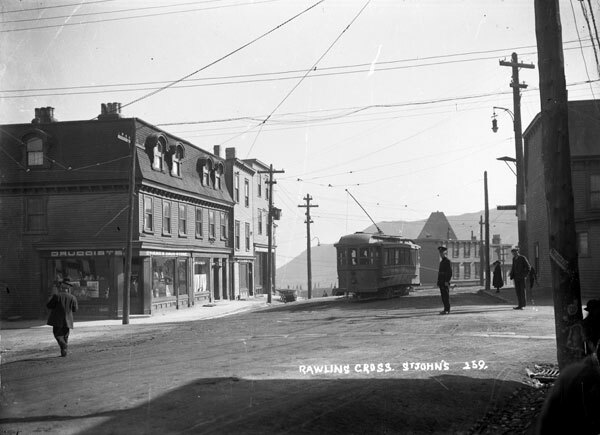 photo: Rawlins Cross, St. John's, circa 1930. Parsons family collection S.H. Parsons and Sons sous fonds, Community views and sportsmen activities Series, Item E 20-8. The Rooms.